My kids like to eat pretzels, and I admit to choosing them over chips when I want a salty snack. 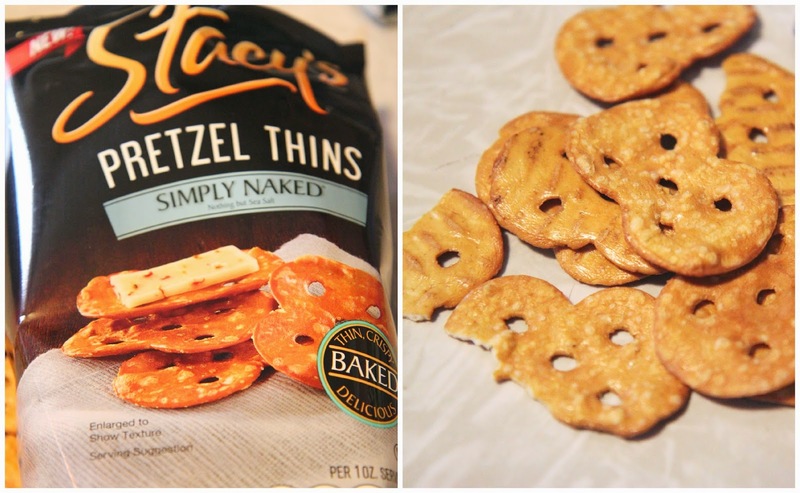 While most pretzels can be dry or bland, the Stacy's Pretzel Thins I tried recently had great texture and flavor. I really couldn't stop eating them! The Pretzel Thins came in 2 flavors: Simply Naked and Honey Dijon. To be honest, I'm not a honey mustard fan, but even with them not being my favorite flavor, they were something I could eat. I really liked that I could eat handful of these, felt really satisfied when I was done, and wasn't stuffing myself with a greasy, fatty snack. If you like pretzels, I really recommend giving these a try. They are so much more crispy and salty than most pretzels! (And you can pair them with cheese or dips.) Find them at your grocer, where Stacy's Pita Chips are sold!